Southampton Maritime Festival Day 2 and we’re filming again for Associated British Ports, this time to catch a flypast by a Hurricane and a Spitfire. After a vain attempt to chicken out and get my Maritime Films UK colleague Andy Jones to do the aircraft while I do crowd reaction, I’m left holding the baby! 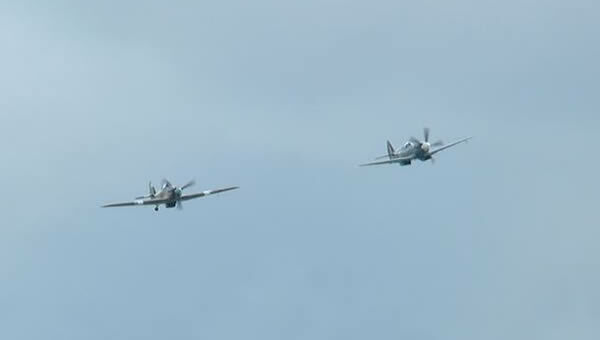 Trouble with these events is that you have just ONE chance … no good asking the Battle of Britain flight for a retake. Plus, it’s a bright day so the viewfinder is hopeless for catching where they are in all that sky. Plus, they come from where I’m not expecting them. But manage to get some OK shots. Odd, though: as they come for their last pass I can see them clearly – quite close – but not hear them till they’re even closer. Weird! 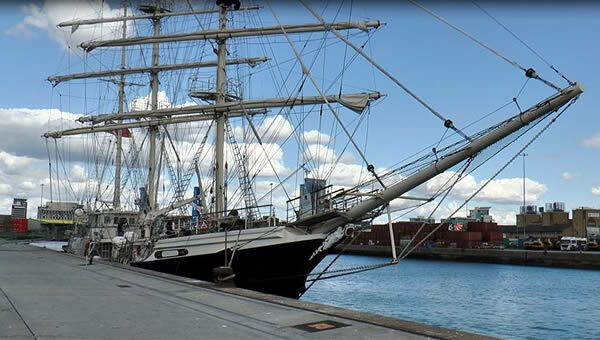 Another Maritime Films UK day, another world full of great ships at Southampton Maritime Festival hosted by Associated British Ports in the city. 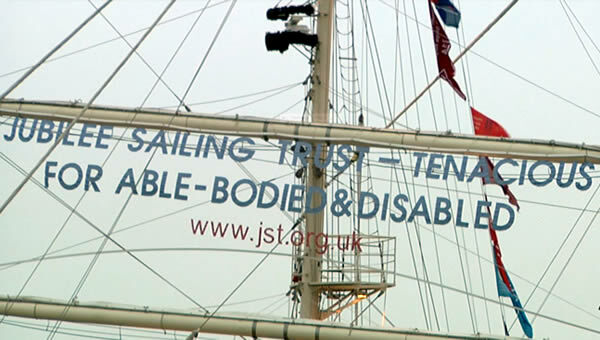 Jubilee Sailing Trust‘s tall ship Tenacious, veteran steamship Shieldhall, even D-Day Motor Gun Boat veteran HMS Medusa. ABP Southampton want us to catch the atmosphere and there’s plenty of it, including majorettes, brill singer doing 40’s hits and even a wandering pirate singing sea shanties and telling groantastic jokes. Like “Why are pirates awful? They just arr, arr, arr!” He ought to walk the plank for that one. Tomorrow looks good with Spitfire etc flypast planned. We’re now off to sea courtesy the Captain of Shieldhall… it’s a hard life etc.